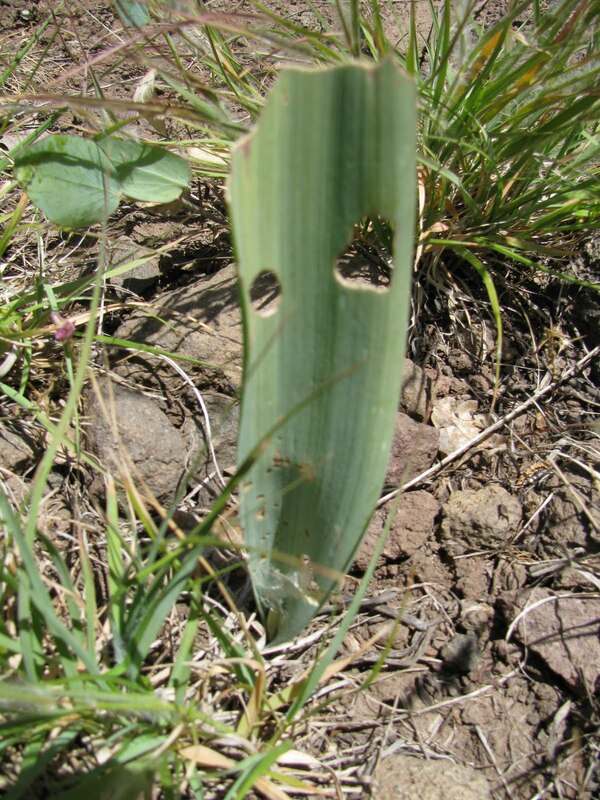 Adventures in Conservation Research: Population Monitoring of Calochortus greenei S. Wats. Population Monitoring of Calochortus greenei S. Wats. Scientific Name: Calochortus greenei S. Wats. Species Listing Status: Calochortus greenei is listed as a Species of Concern by the U.S. Department of Fish and Wildlife. The species has been proposed for Threatened Status listing by the state of Oregon. Distribution: Calochortus greenei occurs in grasslands, shrublands and oak woodlands around the Oregon/California border and stretches down into the Shasta Valley. This unique habitat has formed from the convergence of the Great Basin, Cascade and Siskiyou ecosystem types. 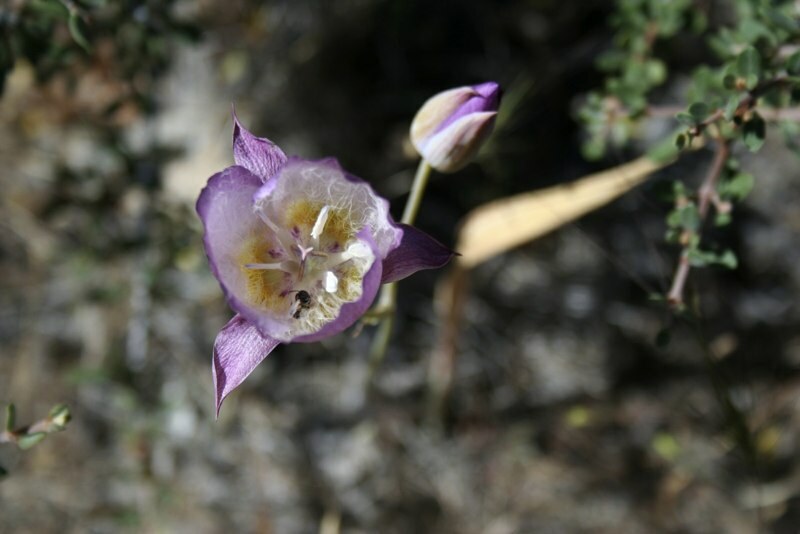 Project Description: Calochortus greenei is threatened by grazing from large and small mammals as well as insects. C. greenei has a complex life history which involves dormancy and requires a multi-year demographic study to determine the effects of these threats. IAE has been collecting data to help with management guidelines and to create future conservation strategies. Our research began in 2003 and consists of monitoring C. greenei plants within large-mammal exclosure and all-mammal exclosure plots that are compared to open, control plots. Identification Tips: Calochortus greenei is a herbaceous perennial generally between ten to thirty centimeters tall with a large basal leaf that is glaucous (covered with a waxy coating that rubs off) on both sides. The flowers have large, showy petals ranging from purple to pink and have extremely hairy inner surfaces. 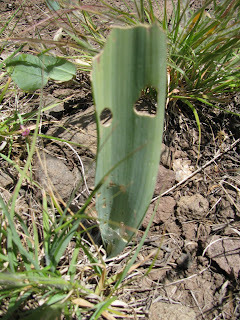 Calochortus greenei co-occurs alongside the similar looking C. tolmiei, but the leaf on C. tolmiei is only glaucous on one side and tends to mature before C. greenei. Interesting Facts: This species may be able to reproduce vegetatively through bulb offsets, yet more information is needed to verify this claim. For more information follow this link to see the full report: Population Monitoring and the Effects of Grazing on Calochortus greenei on the Cascade-Siskiyou National Monument.